We are proud to offer many Social Security Card processing services for customers who need assistance. We acknowledge that your Social Security Card is critical to all sorts of functions in your life whether it entails financial services or identification needs. With this in mind, we offer Social Security Card replacement processing services. This is to provide you with a new SSN card or at least an official duplicate if necessary. Our goal is to simplify the process of ordering a card. The process of doing so can be tough to handle on your own. This is especially as you’ll require plenty of identification while also preparing the necessary forms to get your card ready. We will work hard to give you the support you need to get your SSN card replaced the right way. Our goal is to give you the proper service you need while getting your card processed properly. This is all about ensuring that your card will be read properly and that it will be ready for use. · You can contact us to get your state and federal taxes filed. This may work with your new SSN card to provide proof of identity and to get and dues you owe forwarded. This is also to ensure that any refunds you might be entitled to will get to the proper destination. · Moving address change services are also included to help confirm that you are living at a different location. This is to allow various important documents, including whatever you might get in the mail, to come to your new location. 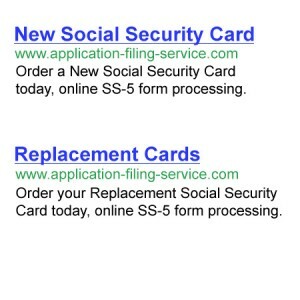 · You can also get your SSN changed in the event that your number has been compromised for any purpose. This is a process that is typically used in more substantial cases of identity theft. You can contact us about getting your SSN adjusted and we will assist you with the necessary paperwork to make it worthwhile. Remember that your SSN card is important to you. Contact us if you need to get a new Social Security Card for any purpose.